The trundle beds are ideal for small rooms that intend to provide privacy and comfort to more than one person, either because the family members are many and must share the same room. Suddenly the visitors decide to stay for the night. Or more days, even full vacations. The styles and shapes of this type of beds are many. That is why we show you only some unique options. If your interest is to have several beds available in the same room, these 10 types will enchant you. 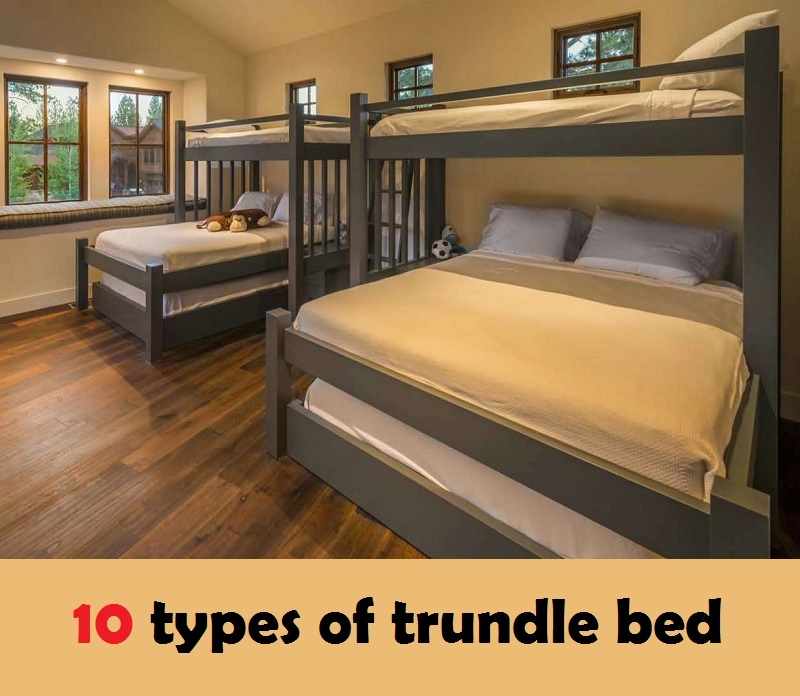 1 What is a trundle bed? 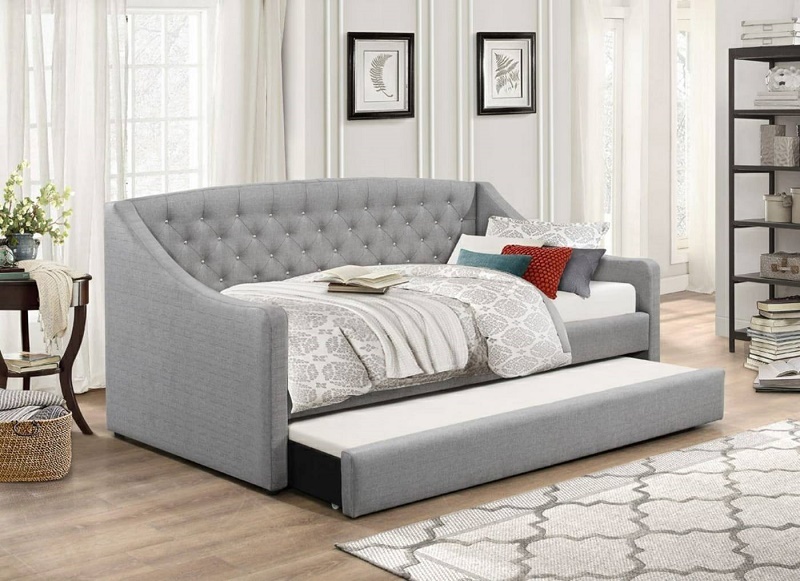 1.1 Why should you choose a trundle bed? 2.1 1. Superimpose is a good choice! 2.2 2. Armchair, bed or both? 2.7 7. So much in so little space! 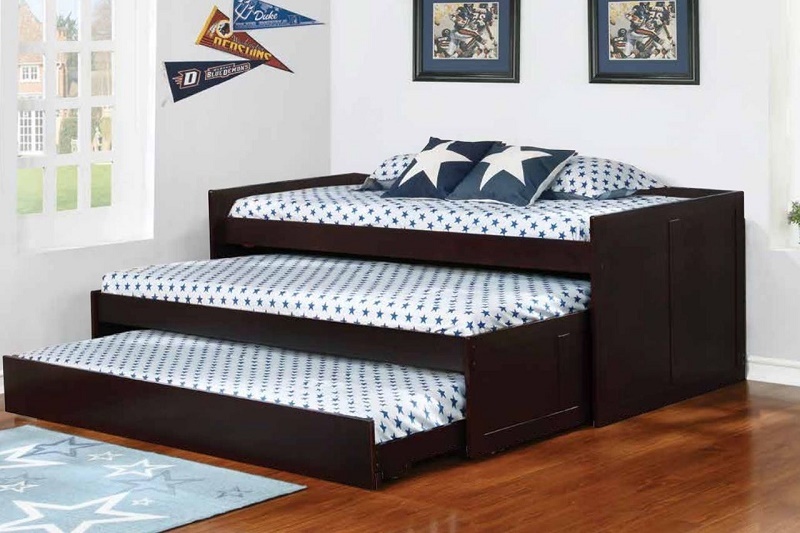 A trundle bed is a small bed that can be stored under a large bed. It provides two spaces for sleeping in a piece of furniture (very similar to bunk beds). It does not take up more space than a standard single bed or, even, that of a sofa bed during the day. The lower bed is usually smaller than the other and is placed on rollers or wheels. It facilitates its movement to enter and exit from under the main bed. Why should you choose a trundle bed? The main reason to choose a trundle bed is to save space. You will get two beds that can be stored in the same space that a bed would usually occupy. Depending on the style, the trundle beds could also serve as sofa beds or lounge chairs during the day as the size is similar to a small sofa. Then, when you require the bed function, you can quickly extend the second bed. You will only need to incorporate pillows and bedding and you will be ready to sleep. 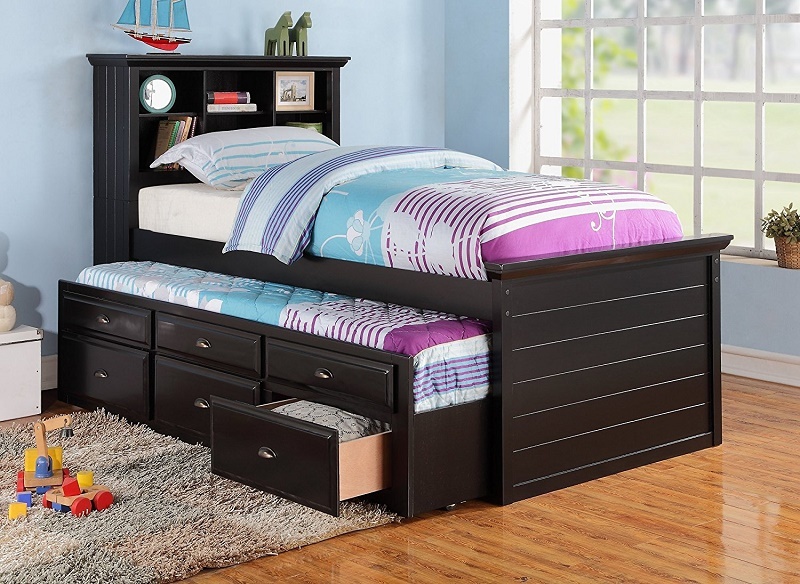 You can even get trundle bed designs with drawers to store your bedding and pillows when they are not in use. There are lots of bed available in the market and online shop. Only the trundle bed can save your space. Here, we’ll discuss the types. Let’s dive into it. 1. Superimpose is a good choice! Here the design of the bed contributes in a good way to protect with great style the pair of beds that have wide base legs, which can be adapted without any problem one over another generating a release of space. A particular feature of this piece of furniture is the identical design that the two pose. With no headboard or other decorations that decide which bed will go up. 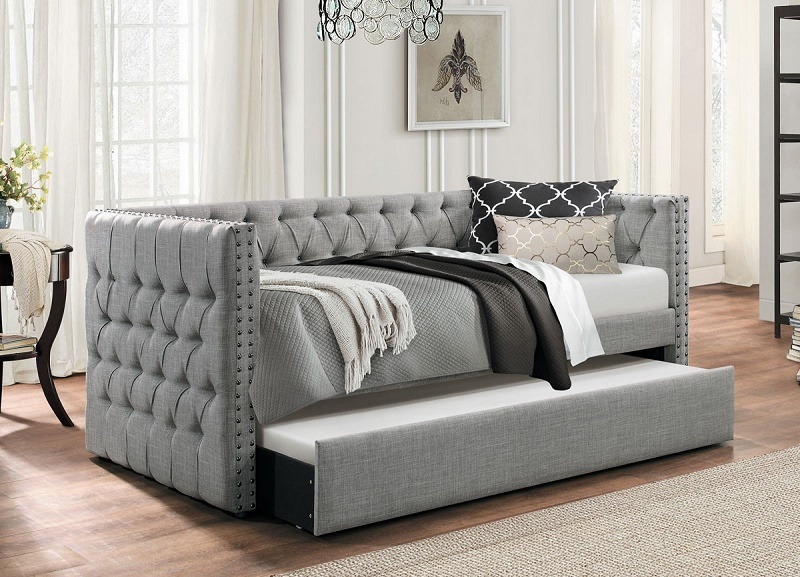 The idea of this trundle bed belongs to the signature natural. 2. Armchair, bed or both? This other option that also belongs to the furniture designs is great to have a functional chair and a dream bed, in the same place and without creating visual saturation. The wide planks of wood are the protagonists in the design that during the day allows fitting the bed under the side chair. At night gives it resistance and comfort, necessary for a good rest. A perfect room for the little ones at home. It has color on the walls; it has a lot of space for fun, it houses books, ornaments, and equipment to study in a very original way. 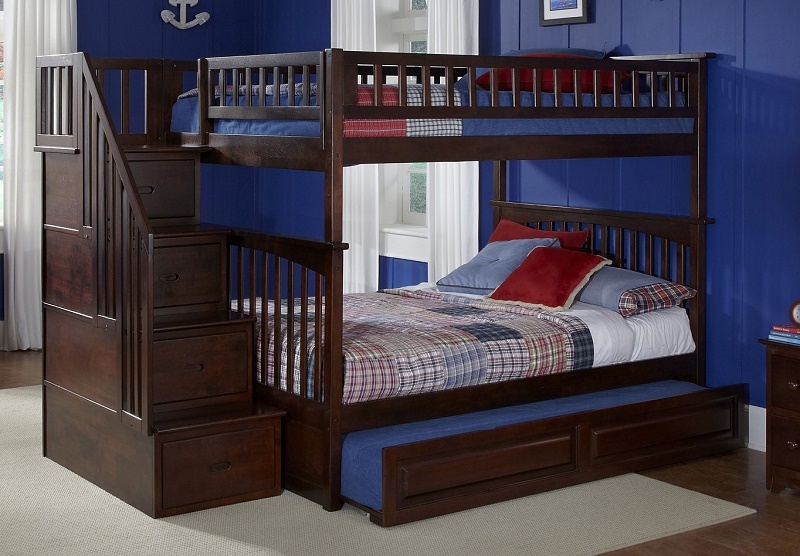 Above all, it keeps three fabulous beds in one space, magnificent for the little ones who. Although they often have to share a room, deserve a proper place to rest. It for those visits that are unexpected and that should also enjoy a perfect rest. The reduced space is not a pretext for everything in a room to have the right harmony. An example of this is given by Basoa Decoration’s team of interior decorators when choosing the perfect dimensions of the elements and achieving the appropriate furniture arrangement. Of course, to resort to a type of bed that therefore provides more space during the day and greater accommodation capacity at night. 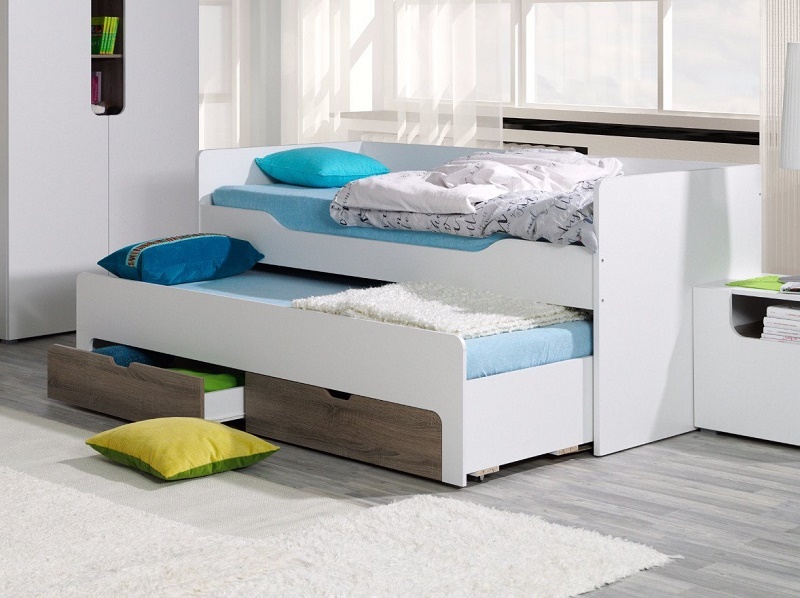 The idea of twin beds occupied in rooms for children or young people is the best option when space allows. That is not the case, the design is perfect. It provides similarity in the beds with the ease of during the day place one under the other without sacrificing the drawers as the lower bed pools them in their support. Something else to highlight is the color of the beds that contrasts with the uniformity of the room, thus achieving greater prominence. Because the style is not at odds with the economy of space, the Spanish franchise Man makes the bed trundle, made with old-looking wood. All are the main furniture for the room. Regardless if the bed below is used daily, or spontaneously, the ease of sliding that gives the model is perfect to put or take both the base and the mattress. 7. So much in so little space! An extremely functional desk with a lot of uniqueness that allows you to take a comforting bed underneath it at bedtime. This design belongs equally to others, where the space economy exceeds the idea of housing two beds in one place and merges with other furniture equally important in a room. The wood with which all these items were made, allows the design to be simple but at the same time very solid. When the place and the children who live at home, either regularly or sporadically, do not agree. The best idea is to adapt to the space of one bed to others, to have several places available to them. The signature shows three beds perfectly suited to the small space of the room. The natural wood and the simplicity of the armed one help that visually the room looks with a lot of space. Here is another example of the fact that children’s bedrooms are often the most used for this type of bed. Due to the comfort, it provides for two children to share a room without implying that they must sleep in the same place. They use linear symmetry in all the furniture. Therefore the trundle bed retains discreet and very sharp lines according to those of the desk, bookcase, and other furniture. The cream and violet tones are responsible for completing the harmony of the room. This last option shows a trundle bed that leaves aside one of the most recurrent materials in this type of furniture, the wood. It is inclined by a sober and straightforward upholstery that gives it a greater lightness, perfect for the mobility of the lower bed. The team of the brand Salvioni Spa is responsible for creating this bed. In general, the upper mattress can be of the type you prefer. The lower mattress will have to be between 20 and 25 centimeters thick. In any case, it is very convenient to review the description of each product before choosing a mattress. The beds can vary in their dimensions. For a support mattress that is not as thick as a traditional mattress. Visco-elastic memory foam is a good choice because it does not need a mattress. Trundle beds are an excellent way to save space. This is especially true for people who live in small apartments or for large families who live in tight spaces. If you have ever wondered about these versatile beds, read on to learn more about how to decorate empty space after shifting the bed.